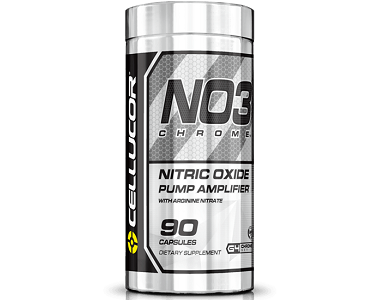 Today we review the dietary supplement called NO3 Chrome manufactured by Cellucor. NO3 Chrome claims to help increase the overall blood circulation that benefits you when working out and helps you to build muscle faster and more efficiently. This supplement also aims to strengthen your endurance during workout sessions so that you can maximise muscle gain and increase your fitness. If you combine this supplement with a strict workout schedule and a healthy diet then you could experience a difference when it comes to your overall fitness. If you want to find out more about this benefits of using this product then read the rest of our review below. What’s in Cellucor NO3 Chrome? Arginine Nitrate helps to dilate blood vessels which cause more energy to become available to various muscles throughout the body during workout sessions. Arginine Silicate helps to improve athletic performance and cognitive function. Vitamin C boosts anti-oxidant levels and helps to repair various tissues in the body. It also helps to keep testosterone levels high during workouts. Although this product contains a number of beneficial ingredients, it also contains a lot of artificial ingredients which may put a lot of health-conscious individuals off from using it. It is also not stated whether this product is vegan-friendly. 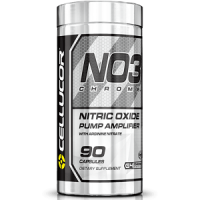 How Do You Use Cellucor NO3 Chrome? It is recommended that you take 3 capsules on an empty stomach 60-90 minutes before a training session. It is very important that you do not exceed 6 capsules per day. 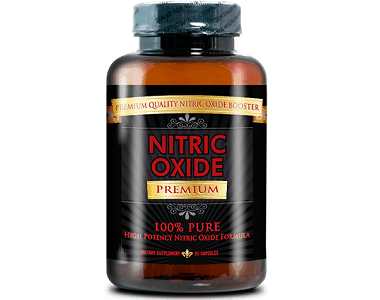 Do not use this product if you are pregnant, breastfeeding or taking nitrates for chest pain. It is also best to consult your doctor before you start taking this supplement. You can purchase this product directly from the manufacturer’s website for $29.99. Each bottle contains 90 capsules which will last you exactly one month if you only take one serving daily. We could not find more information regarding discount offers for bulk purchases. This product comes with a 30-day money back guarantee if you find that you are unhappy with the results. However, compared to leading manufacturers this guarantee does not quite measure up, seeing that competitive manufacturers extend their guarantees up to a whole year. Customer reviews regarding this product are varied. Some customers were satisfied with their results and others complained that this product came with headaches, rashes and offered no real improvement when it comes to building muscles. We like that this product has a 30-day guarantee that offers you some peace of mind when purchasing NO3 Chrome. We also like that this product includes ingredients that have shown improved athletic ability. However, we feel that this product is overpriced compared to leading competitive brands and that some of the negative side effects mentioned by reviewers may not make the product worth it in the long run.